Bean and coffee farmers in Honduras implement innovative climate-smart agricultural practices to increase incomes, nutrition and resilience. At age 25, Darwin López is a veteran farmer. He’s been helping to grow beans on his family’s farm since he was 5 years old. 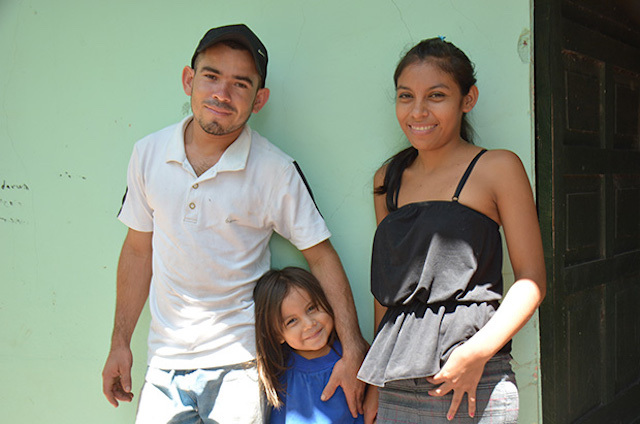 Now with a young family of his own, Darwin is eager to protect their primary source of livelihood from weather-related risks. Like smallholder farmers around the world, the López family is on the front lines of climate change. Though less severe than other areas in Honduras' Dry Corridor, Darwin’s region near Catacamas has seen both droughts and flooding in recent years. Adapting to these risks is a necessity for Darwin and millions of farmers in Central America. 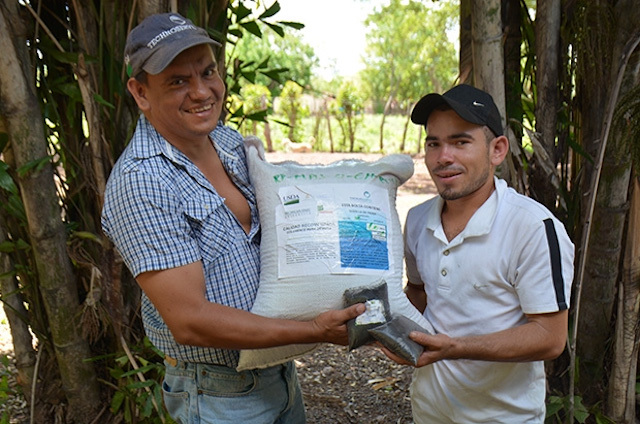 The Sustainable Agricultural Improvement project, or MAS in Spanish, is helping bean and coffee farmers in Honduras build their resilience to climate change. 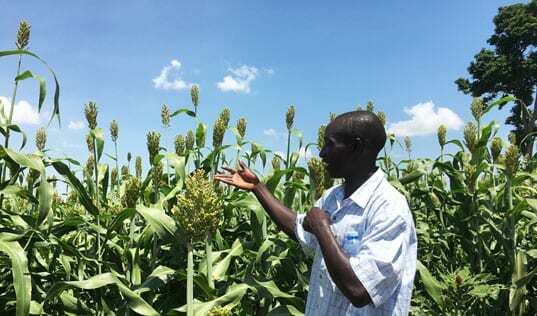 Funded by the U.S. Department of Agriculture (USDA) through the Food for Progress Program and implemented by TechnoServe, MAS provides training on sustainable agronomy practices and links farmers to high quality inputs and formal markets. Now our daughter can go to school. We have achieved this thanks to USDA, and now I can give a better life to my family. 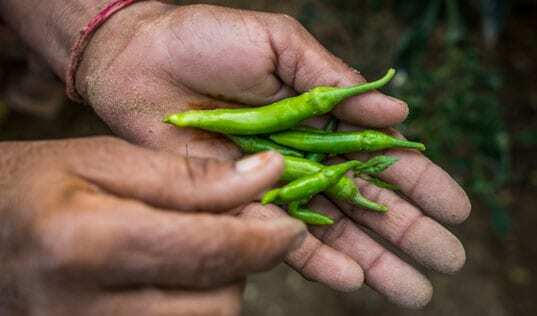 Agricultural inputs, including seeds and fertilizer, can make a huge difference in yield and quality for farmers like Darwin – and for food security in the country. Since joining MAS, Darwin has switched to improved bean seed varieties that are more drought-tolerant and pest-resistant than traditional varieties. Darwin also adopted organic fertilizers to improve the content of soil organic matter – which increases water retention capacity – and added rhizobia bacteria, which supply much needed nitrogen to the bean plants through their roots. 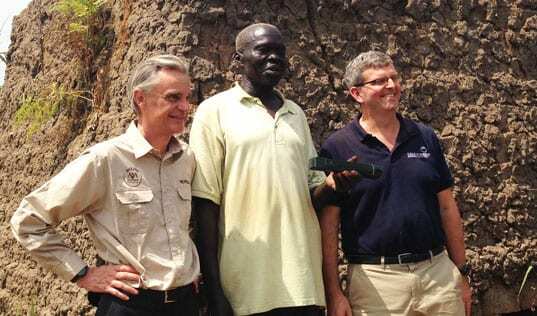 Combined with other good agricultural practices (GAP), such as planting seeds further apart and protecting stored beans from weevils, Darwin has more than doubled his yield. As part of the Jamasquire producer organization, Darwin is also getting a better price for his beans thanks to a marketing agreement that MAS facilitated with the Honduran Institute of Agricultural Marketing (IHMA in Spanish). IHMA now buys beans from Jamasquire at a guaranteed starting price. This base-price also applies to more than 65 other bean producer organizations participating in MAS – representing 1,430 farmers. In addition to helping more than 3,400 small-scale bean farmers access certified seed, adopt improved farming practices and increase their incomes by an average of more than 50 percent, the MAS project has benefited more than 16,200 coffee farmers. Of these farmers, 87 percent have established food security through a one-year supply of beans for their families. TechnoServe provided climate-smart agronomy training to coffee farmers, covering shade management, soil conservation, liquefied fertilizers and water management. Applied research for using yeast in wet-milling could reduce water usage from coffee processing by up to 50 percent, and the wastewater is further managed by establishing filtration lagoons. The project has helped farmers access more than $15 million in financing over four years – financing that has helped about 700 farmers build solar dryers in order to reduce the use of fuelwood in mechanical dryers, while also improving the quality of the coffee. MAS is promoting techniques to reduce crop loss from pests, which have increased due to changing weather patterns. Information about outbreaks – such as the fungal disease known as roya or an infestation of the coffee borer beetle – and best practices for pest and disease management are communicated through SMS messages. The project’s text messaging campaign sends tailored agronomy advice, weather alerts and market information to more than 15,000 farmers. As a result of sustainable farming practices and market linkages, participating coffee farmers have sold more than 14,500 metric tons of quality coffee directly to exporters, increasing their incomes by 55 percent. For thousands of bean and coffee farmers in Honduras, climate change is not a distant theory. As droughts, floods and other extreme weather patterns become a fact of life, adaptation is critical for food production and sustainable livelihoods. Comprehensive climate-smart agriculture programs like MAS can provide farmers with the localized knowledge and resources to build their resilience and thrive in the face of climate change. Make a donation today and help smallholder coffee farmers and other enterprising individuals in the developing world improve their livelihoods with TechnoServe’s support.